After taking a few weeks away, I am diving back into Brandon Sanderson’s Cosmere. This novella, published in January 2016 only a few days after the release of Bands of Mourning, purports to fill in some of the gaps in the Mistborn storyline, tie it into the larger universe, and give the reader some more time with a particular character they may have not gotten enough of in the original trilogy. This story contains enormous spoilers for the first three Mistborn novels. Seriously, please don’t read this unless you’ve read those books. I’d actually prefer you wait until you’ve finished book six, The Bands of Mourning, because some of the reveals in this story will spoil that book as well. He’s not kidding, although I don’t think this book would make much sense to someone who has not read the first trilogy anyway. Regardless, I’m putting the rest of this post after a break so as to not inadvertently ruin things for anyone new to the series. I won’t give away all the details, but I do have some specifics I want to discuss. You have been warned. Jumping back into my beer reviews with the second entry in this year’s Barrel Society lineup. While not exactly a new release at this point, I at least got around to this review in a slightly more timely manner than I did for release number one. Description: Submitted for your approval, the brewer’s notes: Pours a rich, dark orange with a bright white head; grapefruit, classic Brett funk, and oaky white wine on the nose; a cascading symphony of tropical fruits on the palate, across a background of funky stone fruit; finishes with dry, tannic notes imparted by this beer’s time in barrels. Some additional bits of information from the label add that this double IPA was aged in Sauvignon Blanc barrels with brettanomyces. Bottled in July 2017. Appearance: An orange/amber body underneath a fluffy layer of off-white foam. Smell: Sweet tropical fruit with a funky tartness lingering on the end. Taste: Light, sweet tropical fruit upfront turned tart and funky towards the middle. From there, the beer went on to close with a moderate hay-like funk that combined with dry white wine, oak barrel, and just a hint of grassy bitterness. In its final settled form this drank equal parts (tart) fruity, funky, and oaky. 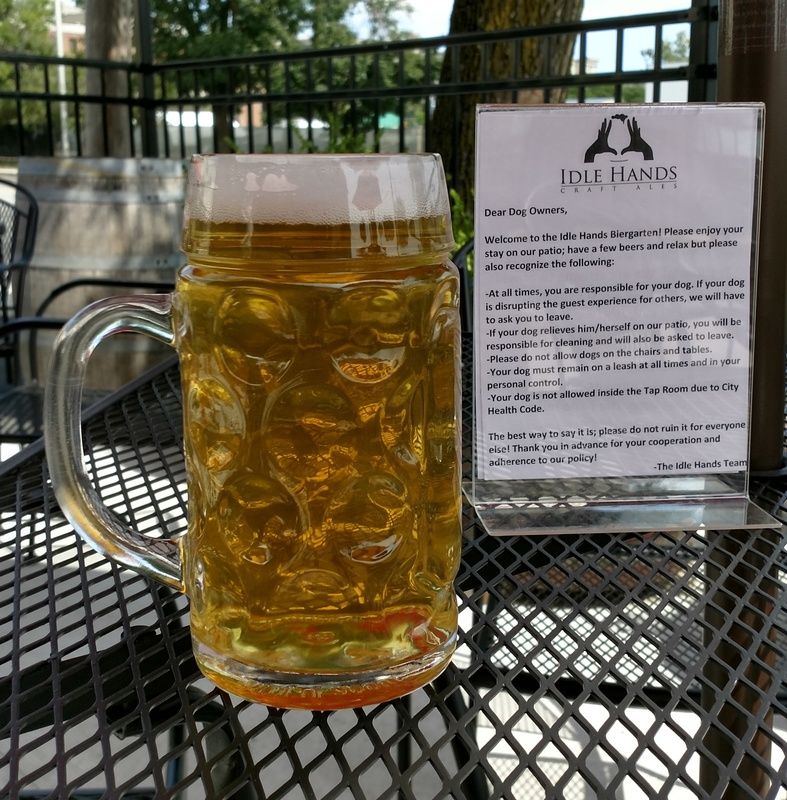 Mouthfeel: Fluffy, medium body with a moderate amount of steady carbonation throughout and a dry, almost wine-like finish. Hype: Always elevated for these releases. With only four planned for this year, they should all be amazing. Overall: Overall a very solid brew. Given some basic similarities, I couldn’t help but think of the wine-styled IPAs I’ve had from Trillium recently. 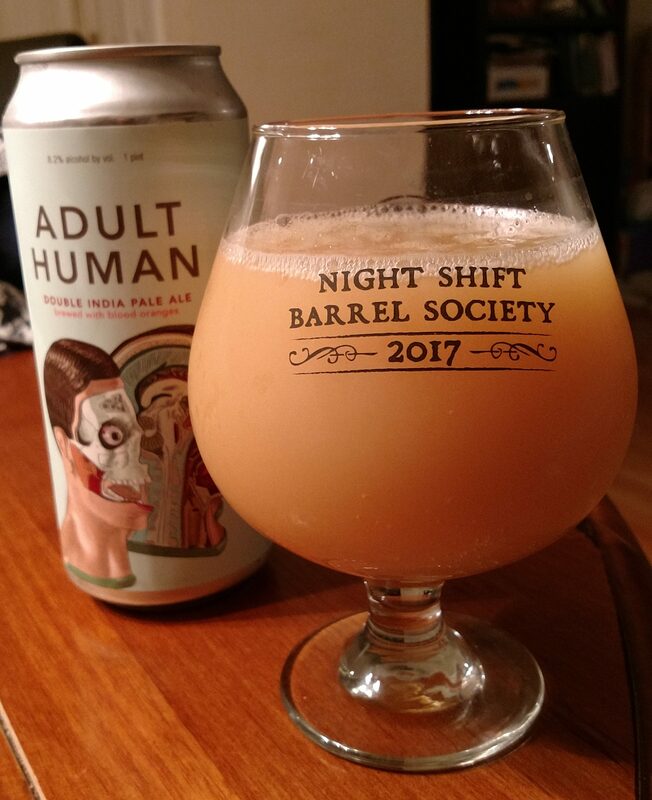 With that reference in mind, I do say that the front end of this beer with its juicy tropical fruit and mild bitterness held up quite well in comparison. 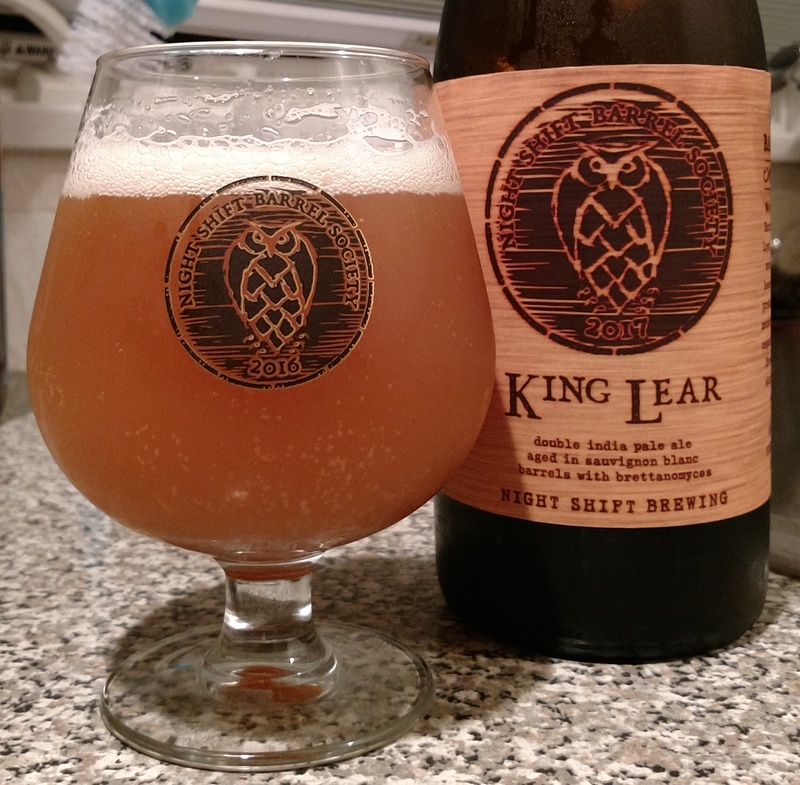 The Brett and barrel aging added a lot of complexity to the finish, making the brew tart and oaky in place of the typical DIPA bitterness I would otherwise expect. By personal preference this isn’t a style I would want frequently, but I also don’t doubt that the brewers got exactly what wanted out of this. I enjoyed my first bottle and have every intention of doing the same with the second. As promised a few posts back, here we go with some more Scalzi. Published in 2005, this is the first installment in what is currently a six book series. A few years ago I read one of the later (stand-alone) novels and really enjoyed it; so much so that I made it a point to go back and start the series from the beginning. It took me a little while to finally do it, but here I go! This book is the story of a man named John Perry. We meet him on his 75th birthday as he embarks on a journey into the unknown. Leaving the remnants of his life on Earth behind he enlists with the Colonial Defense Force, a secretive military organization responsible for protecting humanity’s colonies on other planets. Although not much is known about life off planet by the people living on Earth, many see the CDF as an appealing option and the means to a new life. Enlistment starts at age 75 and new recruits are offered promises of purpose, adventure, and (most appealing of all) restored youth. It doesn’t take long, however, for John to discover life in the CDF is nothing the relative comfort of Earth could have prepared him for. He quickly, and rather explicitly, learns the various races of this universe exist in a state of near-constant war and that more than a few of them have acquired a taste for human flesh over the years. As he is deployed from one battle to the next, John must trust in his new-found friends and the enhanced abilities that come with enlisting to keep himself alive in an inexplicably hostile universe. I don’t actually have a lot to say about this book although I did find it rather entertaining. Between the free-spirited antics of old people made young again and the grim, yet often zany, spectacle of alien warfare (think Douglas Adams meets Battle Royale) there was a lot of fun to be had within these pages. Although most chapters tended to be more episodic and focused on the battle of the moment, there was something of an overall story left unresolved at the end which, going by the title, I assume figures into the next book. I can only imagine what kind of adventure this series goes on next so I definitely going to continue on. I’ve been hitting up Trillium a lot lately, but still felt the need to head on out and pick up their latest special release last Friday. Motivating factors were these two breweries previously joined forces to create one of my top three Trillium collaboration beers and that it was an absolutely beautiful day to go for a walk when this came out. Description: Another collaboration between two popular East Coast breweries, this double IPA was aged on peach, apricots, and guava. As usual, Trillium has more of the specs here on their website. Appearance: Golden/straw yellow colored body. Lots of cloudy haze underneath a lively white head that was very quick to fizz away. Smell: Mild tropical fruits followed by a rush of bitter resin. Taste: Light to moderate fruit upfront; perhaps best described as a combination of peach, apricot, mango, and pineapple. A light, crackery malt came through about mid sip. The finish was bitter, slightly spicy, and featured a slightly tangy reappearance of the opening fruits. Mouthfeel: Medium, fluffy body with perhaps just a touch more carbonation than I was expecting. Hype: Huge! The release was announced on Twitter about 10 before the brewery opened. Working downtown, I arrived about 10 minutes after opening and still got stuck with a 10-15 minute wait. By the time I got out with my cans there was a line down the block. Honestly, if I didn’t get there when I did I would have bailed. As usual, the brewery staff did a great job moving people along but there were also a lot of people in line loading up on everything which slowed the process down. Overall: I like this beer a lot. It walked an immensely satisfying line between mellow fruit and harsh bitterness and successfully offered the best of both worlds. 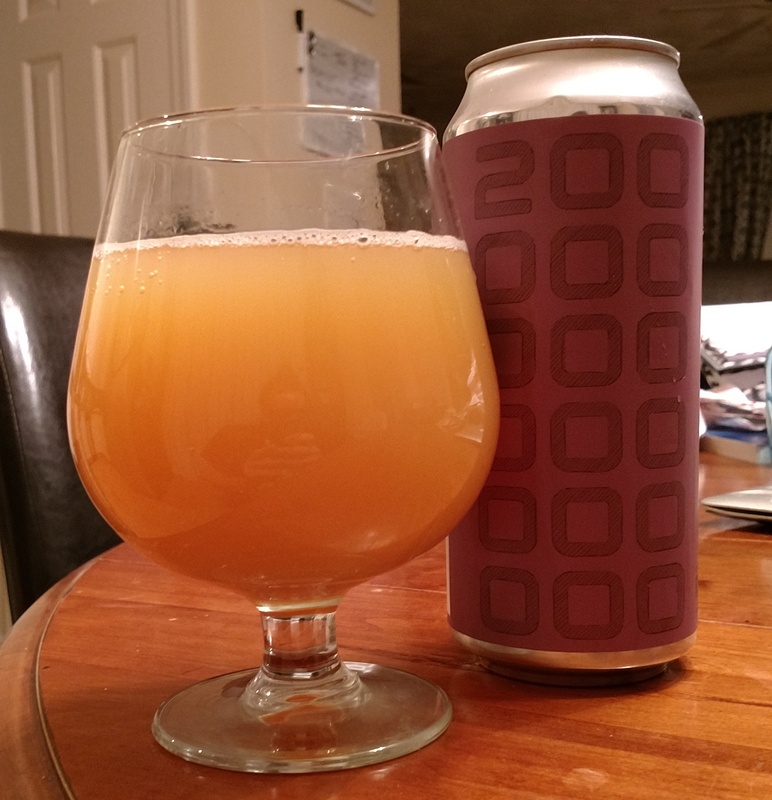 This was another collaboration that came out a bit different than your typical “New England (D)IPA” and I really appreciated the variety. Trillium and Other Half seem to work very well together. I’ve been a pretty avid reader of Murakami for some time now and as such made sure this new release got on my list as soon as possible. As luck would have it, my hold came through only a few days after finding myself in-between books for the first time in several months. Men Without Women is a collection of short stories featuring male protagonists and their complex, often troubled, relationships with women in their lives. Rather dark in tone, issues of death, separation, and personal/societal estrangement are common features throughout all the stories in this volume. Each character is lost in some way and have either resigned themselves to their situation or spend their days searching for something within themselves that may or may not be within their power to find. On the whole I found this collection to be something of a mixed bag. There were a few stories that I liked, but aside from those none of the others appealed to me as much as I had hoped they would. The overall feel of the book was generally very bleak and it didn’t seem to have that same sense of magical realism that usually draws me into Murakami’s work. While each story was without a doubt well-written, Murakami does an excellent job setting a scene and building characters throughout, these just wasn’t really what I was looking for. None of the characters captured my interest all that much and as such I couldn’t get fully invested in their stories. Appropriately enough, I didn’t make it through the one from which the collection took its name. That said, there were two stories that I was particularly taken by. Kino, my favorite of the group, is the story of a recently divorced man trying to open a new chapter in his life by converting his aunt’s tea house into a bar. When something happens to drive away his two most reliable guests, a mysterious book-reading man and a stray cat, Kino is advised to get out of town for a while and lay low. This was the one story that really left me wanting more and also the one that best captured the otherworldly mysticism that usually draws me into Murakami’s books. The other note-worthy story for me was Samsa in Love, a tale far creepier and horror-like than anything I’ve read from Murakami to date. It’s protagonist, a man named Samsa, regains consciousness in a boarded up room. Disoriented and in a great deal of pain, he gradually comes to his senses and begins exploring his surroundings, taking step by excruciating step through an unfamiliar house. As he does so, the reader slowly gets the impression that something is very wrong. Samsa doesn’t seem fully comfortable inside his body and certain thoughts suggest that he may not have always been human. His awkward interactions with a hunchbacked young woman he encounters adds to the sense of foreboding and gives the story a very eerie vibe that for better or worse goes unresolved. Overall though, I surprised to say that I consider this book a miss for me, a rarity from this author. After reading a number of other reviews I realize that I am in an extreme minority in my opinion here, so I’ll say that dedicated Murakami fans would probably find this worth checking out (I wouldn’t fault someone else for being more into these stories than I was). That said, for someone new to the author I would personally recommend they start elsewhere.